The Roosevelt Library will present several free holiday-related programs in the first few weeks of December. 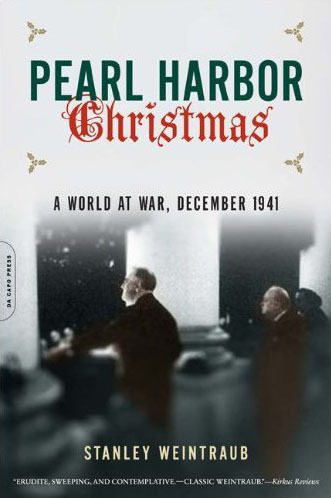 In commemoration of National Pearl Harbor Remembrance Day, the Franklin D. Roosevelt Presidential Library and Museum will host an author talk and book signing with Stanley Weintraub, author of PEARL HARBOR CHRISTMAS: A WORLD AT WAR, DECEMBER 1941. The program will be held at 7:00 p.m. on Friday, December 7, 2012 in the Henry A. Wallace Center at the FDR Presidential Library and Home. Following the presentation, Professor Weintraub will sign copies of his book — now available in paperback. 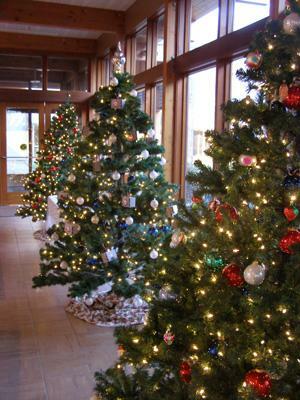 The Roosevelt Library and the Home of FDR (Springwood) will be open to visitors free of charge on December 15, 2012, from 9:00 a.m. to 5:00 p.m., as part of the annual Holiday Open House activities. There will be holiday decorations, refreshments and special activities beginning at Noon in the Henry A. Wallace Visitor and Education Center. 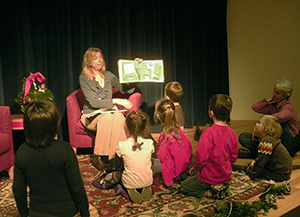 The seventh annual Children’s Reading Festival — presented by the Roosevelt Library and the Friends of the Poughkeepsie Public Library District — will be held in the Henry A. Wallace Center, from 1:30 p.m. to 4:00 p.m. on December 15. In addition, on December 15, there will be free photos with Santa from 1:00 p.m. to 3:00 p.m., and children can make holiday cards for sailors on the USS FRANKLIN AND ELEANOR ROOSEVELT beginning at Noon. Refreshments will be served throughout the afternoon. The Library Programs staff wishes you a wonderful holiday season and hopes you’ll consider joining us for these December programs.